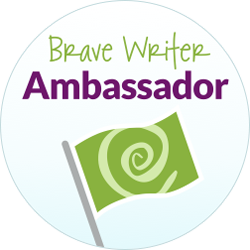 Recently I was blessed to hear Melissa Wiley, the author of the term “Tidal Homeschooling” at the Brave Writer Homeschool retreat along with the fabulous Julie Bogart. Listening to these mentors who spoke on Updating Charlotte Mason to the 21st Century and Tidal Homeschooling, I found a new appreciation for Charlotte Mason’s philosophies and for relaxing and going with the flow. Getting to meet the Fabulous Julie Bogart in person was the highlight of my trip! For some time now I have been a huge fan of Julie Bogart and Melissa Wiley. These amazing women are full of wisdom and knowledge. If you haven’t listened or read anything by either of them, you must drop what you are doing and begin immediately. Julie’s periscopes are like therapy… or maybe like chocolate. I’m not sure which, but I always feel revived after I listen to her speak. She is a homeschool mentor who she speaks from the heart. Melissa’s soft-spoken approach is different but complementary. Her approach to homeschooling, Tidal Homeschooling, has fit perfectly into our homeschool. 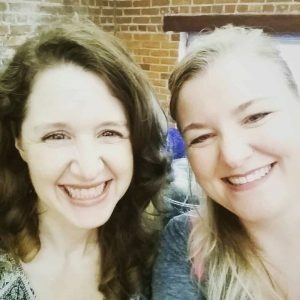 When Julie announced that she and Melissa would be speaking at the Brave Writer retreat, I knew that I had to hear these two homeschool gurus in person. When we started homeschooling, Charlotte Mason was appealing to me. I loved the emphasis on literature, especially living books. But, Ms. Mason’s philosophy had some components I just couldn’t put into practice. I tried, but then I would fail and then begin to feel overwhelmed. I couldn’t live up to the 20th Century values in a 21st Century world. Now, don’t get me wrong. I believe in most of Ms. Mason’s principles, but it was the “putting them into practice” that was causing me problems. I was secretly hiding that I wasn’t fully embracing the philosophy. My kids weren’t learning Handicrafts and Habits, and I detested going outside in the southern heat for Nature Study. And no matter how on schedule and planned I was in August, by January I was exhausted. I was ready to let the kids “veg” on screens. I was looking for workbooks and minimal effort by “Mom”. And, it wasn’t just me. The kids were worn out, too. They were ready to hibernate for winter. Call us when it’s spring when we can act like real people again. They needed inspiration. At some point, I gave up on Charlotte Mason’s values and structure and considered us slackers. Charlotte let down your bun. 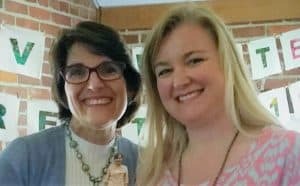 And so I was excited when Julie Bogart started speaking to me about Updating Charlotte Mason to the 21st Century at the retreat. She so eloquently brought Charlotte out of the 20th century and let her hair down. Her talk made me realize it was absurd to hold myself to all the values of a society from another century. Trying to force ourselves into that mold is not only exhausting but, simply put, ridiculous. I love the Charlotte Mason values of children being born persons and education being an atmosphere. 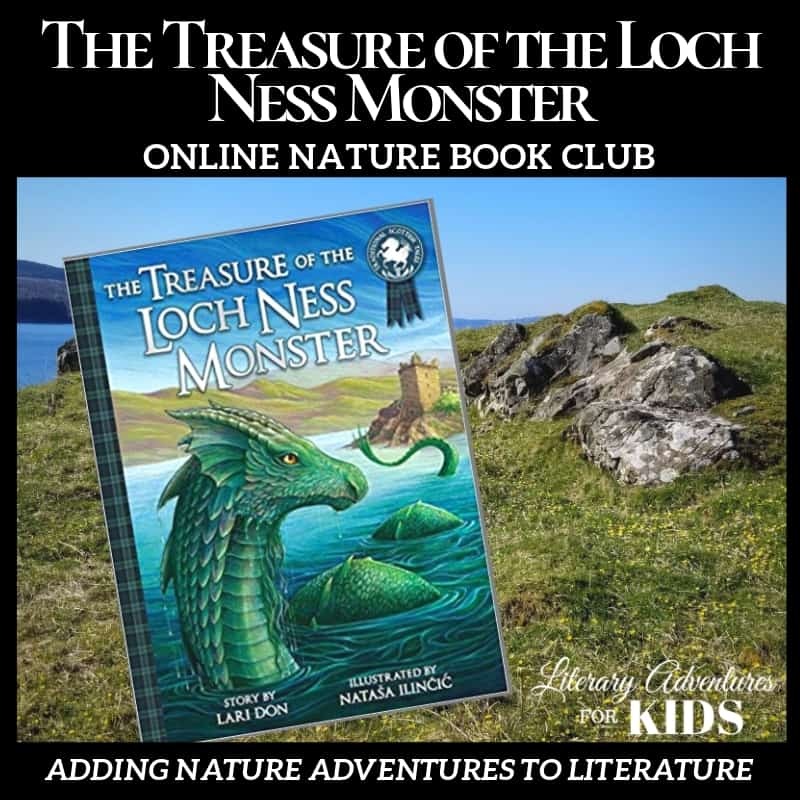 I love the ideas of bringing all subjects together through living literature. We live in a different value set; not better, not worse, just different. Melissa Wiley is one of the most genuine people I have met. As I was listening to Melissa Wiley speak about Tidal Homeschooling, I realized that I wasn’t giving myself enough credit. In those weeks when I felt so discouraged and exhausted, we hadn’t stopped schooling. We had just changed the way we homeschooled. You see “high tide” is that time when you’re feeling great as a homeschooler. The days are structured. The work is quantifiable. Subjects and activities define the days. But, “low tide” is the time when there isn’t a lot of structure. It is a time when the kids are pursuing their interests and “mom” is an enabler…a facilitator. The house is covered in messy, creative projects. These days are harder to quantify and to me always seemed like jello — slippery and hard to manage. But, that was where I was wrong. We weren’t “slackers” on those days. We were in “low tide.” Instead of fighting the tide, we are embracing it. The kids and I are discussing what we want to pursue in “high” and “low” tide…together. We’re giving ourselves permission to deviate from “the plan” for a time and learn organically. Do you go through tides in your homeschooling? 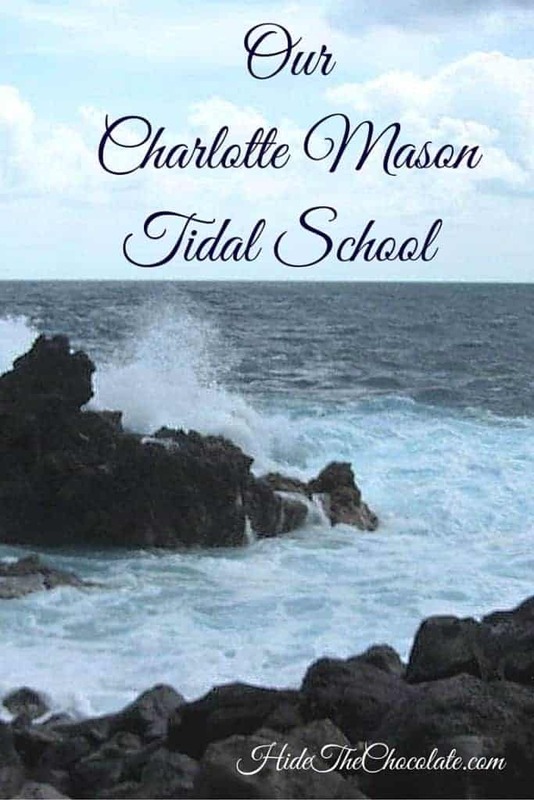 Subscribe below to join me in our Charlotte Mason Tidal School adventure. I really like this thought! I have always felt kind of bad about not schooling through the summer, but we do a lot of crafts and other activities throughout the summer so I guess we are just on a low tide time. Thanks for the thoughts. Yes! These exact same people completely inspired me in looking at my homeschool and Charlotte Mason in a new way. 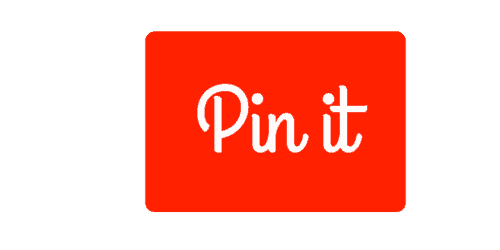 Happy to have just found your blog through Rock Your Homeschool and Periscope! So glad to connect with another Charlotte Mason Tidal Schooler! I had never heard the term “Tidal Homeschooling” but I think that is what we did sort of naturally, just didn’t have a term for it. I, too, love Charlotte Mason’s philosophy but found it hard to do all that she suggested. I love the idea of “letting her hair down” to make her ideas fit better into the times we are living in. 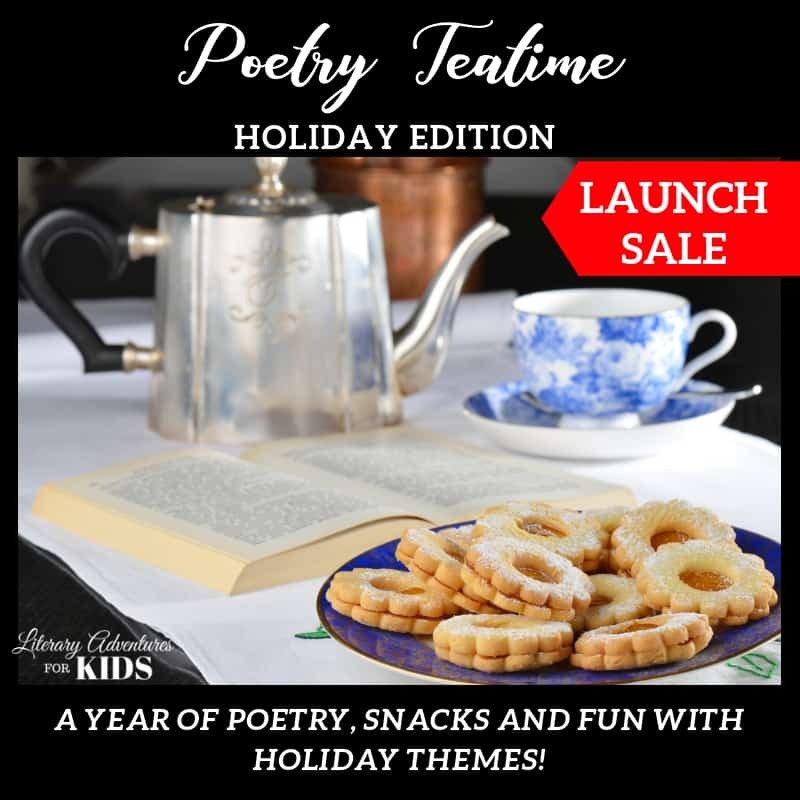 The ideas of high tide and low tide are very freeing in a homeschool setting. We can’t always be following a strict schedule. Sometimes learning is done organically and the low tide times are perfect for that. Thanks for sharing at the #LMMLinkup! That’s the beautiful thing about homeschooling. You can fit it to YOUR needs to YOUR family. 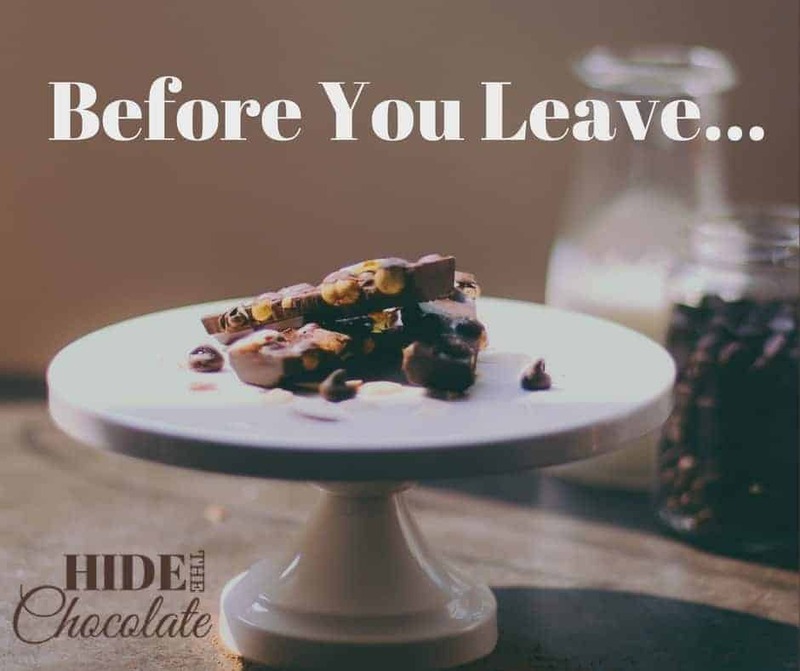 Letting go of the guilt of “What should I be doing?” is the hardest part for me. But knowing that my kids are happy helps me to relax (well, and an occasional spoonful of Nutella 😉 ). I love that there is a recognition that times do change but values do not. I think it is important to acknowledge this fact and the fact that not every mom is an outdoorsy mom. I wish I had heard more of this when my children were younger. I have always loved Charlotte Mason and the way she approached education and children. I did find some of the practical pieces as well as the support rather thin years ago. I have hope for my the families of the future. It sounds like there is more support and grace for today’s mom. Thank you so much for this post. I think you are right and that the face of homeschooling is changing. There is so much support for moms now and the freedom to break from traditional molds and do what is best for their family. Thank you for commenting. Yes! Exactly. With the holidays coming, I definitely feel low tide coming. Thank you. I so needed to read this today. Julie’s so fantastic, isn’t she? The holidays and the winter are definitely low tide for us. And, yes, Julie is fabulous!